Ever since the halcyon days of 2013, the world has been wondering, “What does the fox say?” A fox is one of the animals you can least imagine making an utterance, so it’s up to you to set the record straight as to what they might say as a decidedly talkative fox. The world may have moved on, but we are fascinated by the way this mask moves along with your jaw. 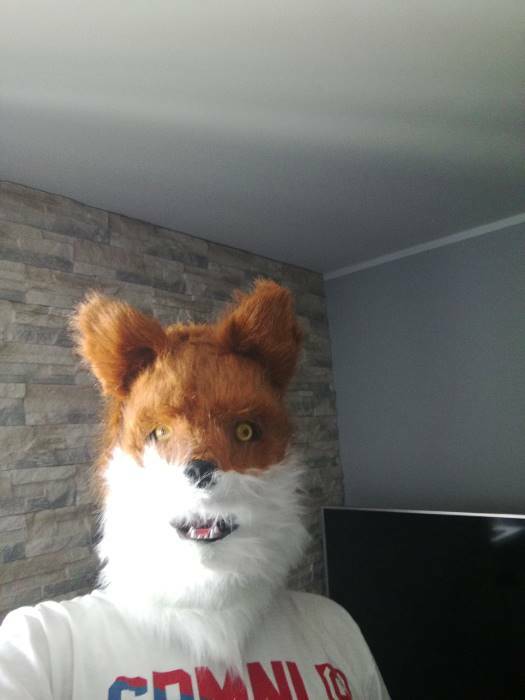 You talk, fox talks. You’ll delight young and old alike with this animated furry favorite. You sly fox, you. We have a feeling that you’ll get into a ton of conversations with folks eager to hear just what this fox has to say. Or, if you’re the type who loves masks for their anonymity, maybe you’ll just vamp and make faces. Nobody said you have to talk. The eye openings have mesh coverings to keep your identity secret while you can see out. 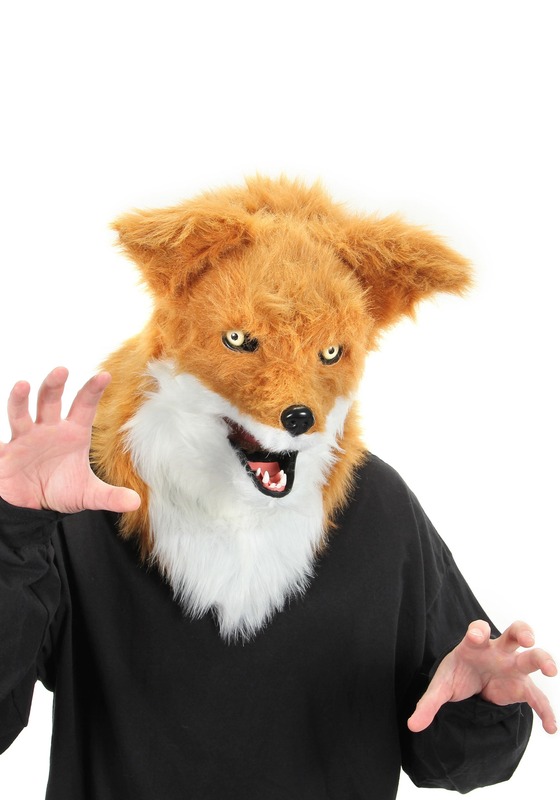 This Mouth Mover Fox Mask is a fake fur-covered plastic mask with a felt and mesh lining and soft, sculpted ears. The mask is held in place by an elastic band. In my country (Poland) that kind of product is completely out of reach, so I've had to order it from abroad. With courier (UPS) it was fairly quick - 3 weeks. Product came well packed and after really fast unboxing... the fun started. Fur looks better than in the pictures or in the movies, quality of everything else is really good too. It fits well (I have pretty big head - I am male, 28 yo, 6'3" tall). You have to put some effort to open jaw widely, but i assume it might be slightly different if you have bigger chin, I'm not sure if that would be so easy for smaller persons. I can only assume at that point of year, that it's going to be as hot as hell inside during summer, but i need it only for fan convetion (if you'll only have an opportunity please visit Pyrkon - biggest con in Poland, with great events and a lot of big stars invited) so I'll manage (if you'll open maks's mouth, airflow is actually really nice). Next thing is a view from inside - decent I will say, even though eye-holes seems small at first. last thing is connected with eating fur and the fact, that in the begging it is literally everywhere - be prepared to choke a few times and find someone to help get those hair out of your eyes. It is really really good product, funny, entertaining and you might prank someone as well as brighten someone's day. And with that price... good deal.